On-the-Go Essentials for Family Fun - Create. Play. Travel. Summer is just around the bend and with warmer weather comes fun family adventures! Outings, excursions and vacations fill up our family’s calendar as we rush to make the best of the beautiful warm weather. I don’t know about you, but I always have a bit of dread at the beginning of each adventure as I ask myself “did I forget something?” and try to jog my memory of what I might need for my son during our day (or week) out. As moms, we have to be prepared for anything. If you have any day trips or vacations planned this summer, you may want to add a few more things to your list of kids’ travel essentials to prepare for anything. Diaper changes can be disgusting, especially on-the-go. Diaper rash, messes, odors, and soiled clothing have left me wondering how exactly to maintain order while out-and-about. 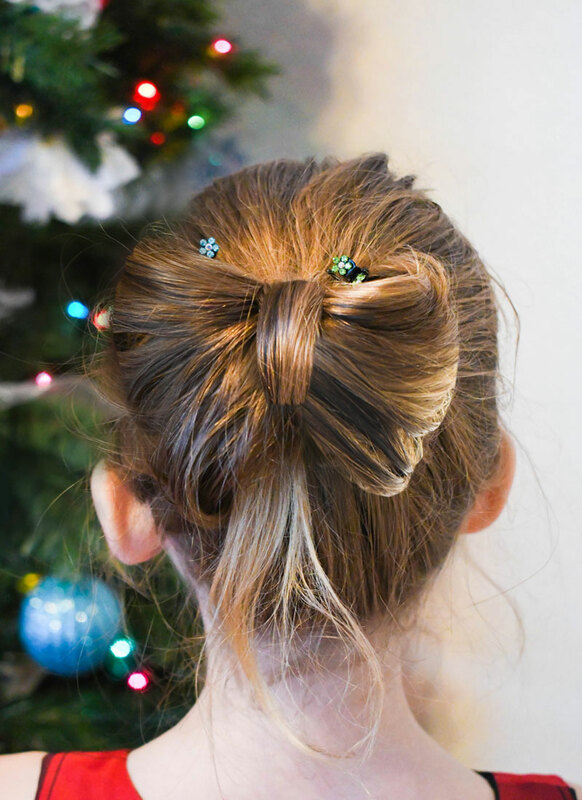 I’ve found a few products that help me minimize messes and keep me from pulling my hair out. Every mom will benefit from these on-the-go essentials for babies and kids! There are few things more frustrating than a day trip cut short due to a nasty blowout. Not only do blowouts ruin outfits and stain car seats, they can wreak havoc on a fun family outing. The process to clean up and contain your baby’s diaper mess is time consuming and – for a frustrated mom – can signal that it’s time to call it a day. 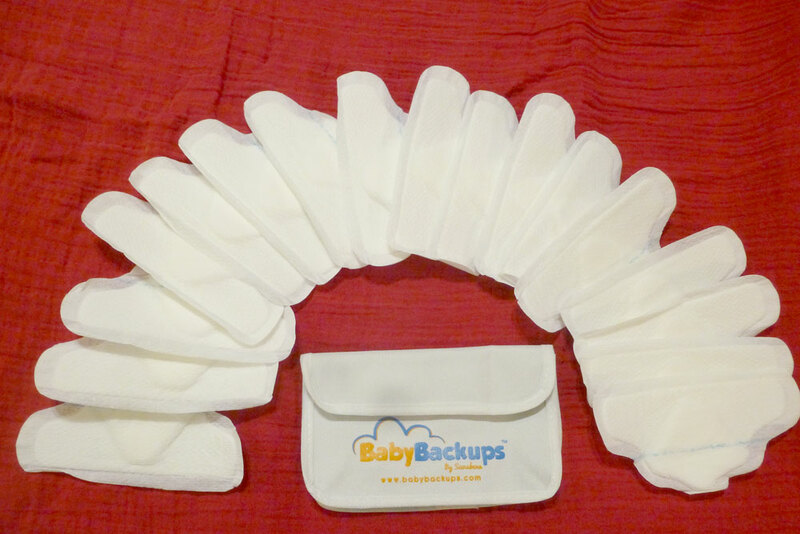 When I tried BabyBackups and successfully arrived back at my house after a day trip with my son without soiled clothing or a mess to clean up, I’m pretty sure I heard a chorus of angels singing. 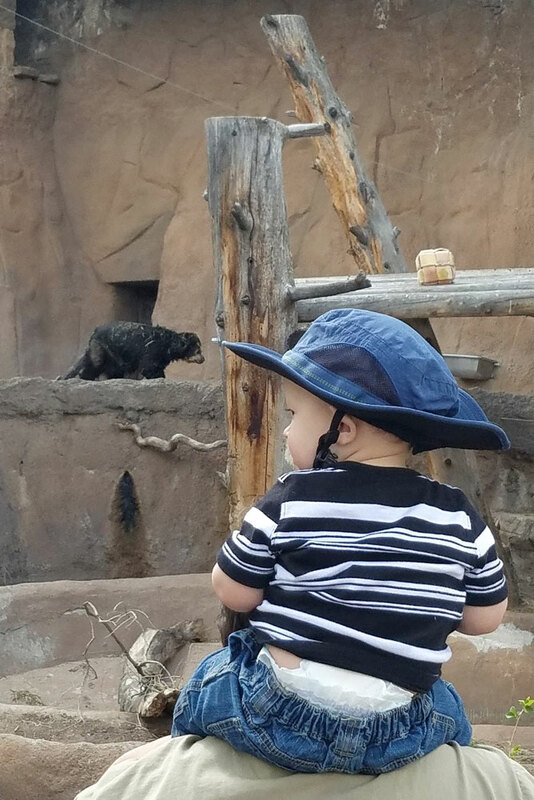 BabyBackups are diaper extenders that make for a much more enjoyable experience on any outing, such as our recent family trip to the zoo! Compatible with any brand diaper ranging from size newborn to 5. Super absorbent to prevent blowouts from spreading up the back. Come with cloth carrier which fits 10 pads. Great for night time or outings. The idea for these diaper extenders was born when two parents had had enough with messy cleanups and stained outfits that could occur just minutes after a change. They had tried every type of diaper and known solution on the market to minimize mess and assist in cleanups and they decided that there just wasn’t anything out there to fix their diaper blowout problems. After months of trying different beta versions, they finally created the most effective design. BabyBackups diaper extenders are a great diaper bag essential! 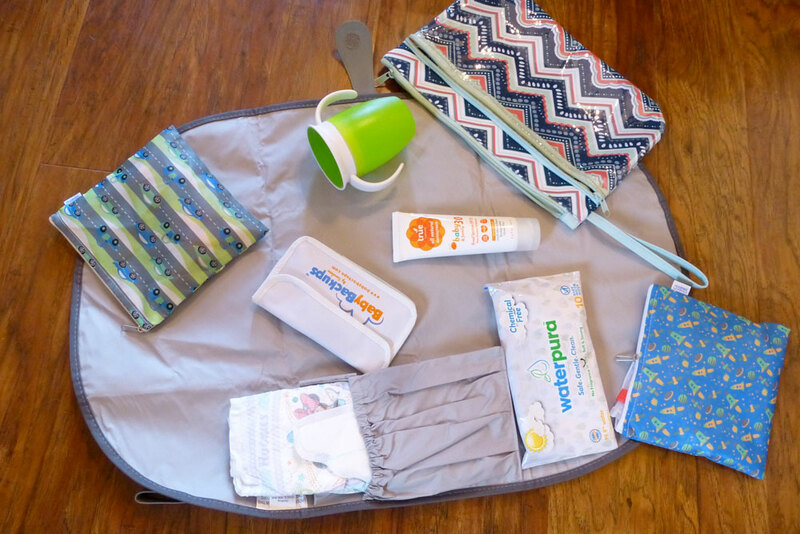 Changing pads are must-have additions to any diaper bag. I usually carry around a fold-out travel diaper changing kit just in case. In a pinch, I know I can pull it out at a gas station, on a plane, during a picnic or even in the backseat of my car. Just the other day, I went to a movie theater that didn’t have a changing table in any of its restrooms! 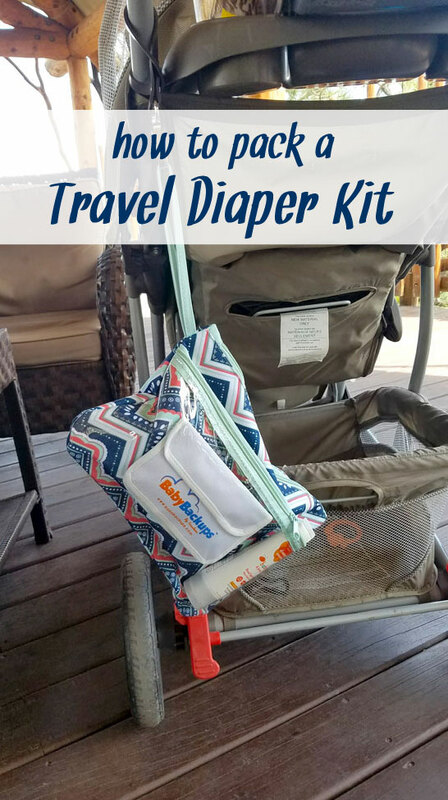 Instead of hauling my entire diaper bag into the bathroom with me, I left it with my husband, took the baby and pulled out my trusty Travel Diaper Change Kit to change his diaper! I keep one of these clutches in each car, because I just never know when it’ll come in handy. Small waterproof bag that closes with a zipper. Small pack of baby wipes. 2-3 diapers & BabyBackups diaper extenders. Travel size baby powder (optional). Extra pair of pants for baby. Delicate Baby Skin? No Problem! My child has super sensitive skin and I have to be careful what I use on his bottom during a diaper change to avoid reoccurring diaper rash. 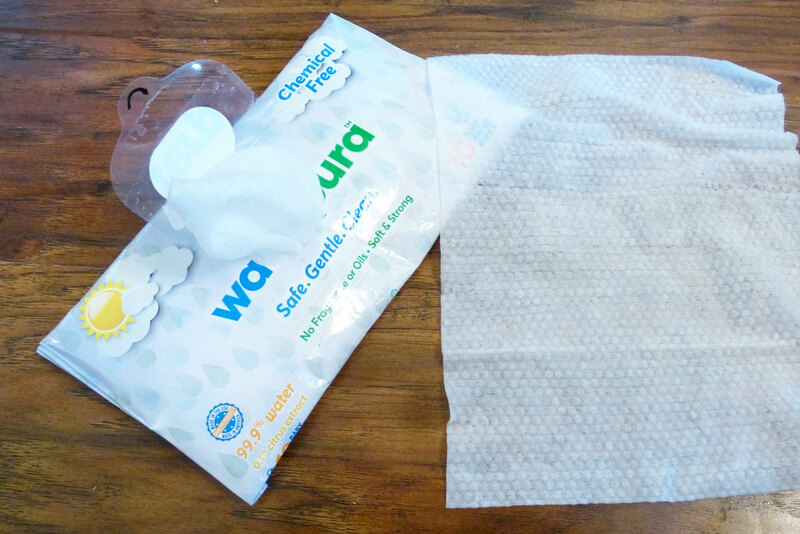 I love my Waterpura baby wipes made with just water! Formula is 99.9% water and 0.1% citrus extract. Safe as hand and face wipes for on-the-go messes. Resealable wipe lid keeps wipes from drying out. Waterpura wipes were designed by a frustrated mom who just couldn’t find a cure for her son’s diaper rash. His sensitive skin just couldn’t handle chemicals found in many other baby wipes. 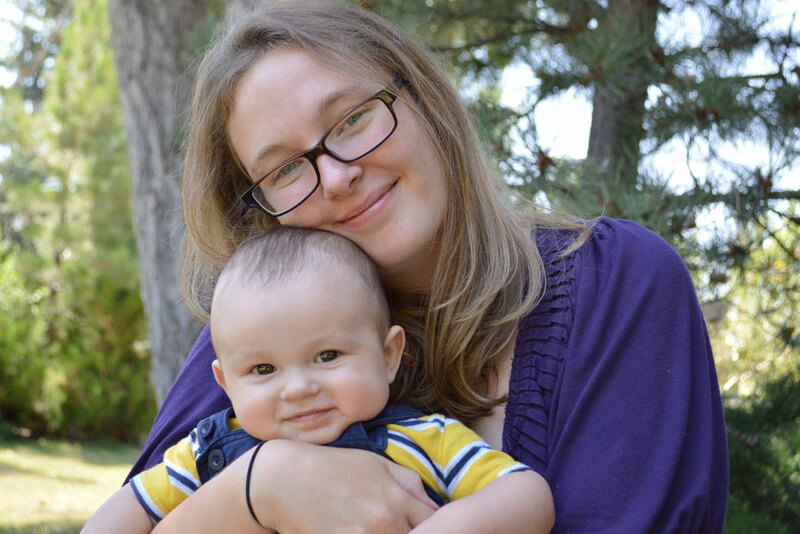 When she had trouble finding a pack of wipes without a laundry list of chemicals, she knew she had to do something. 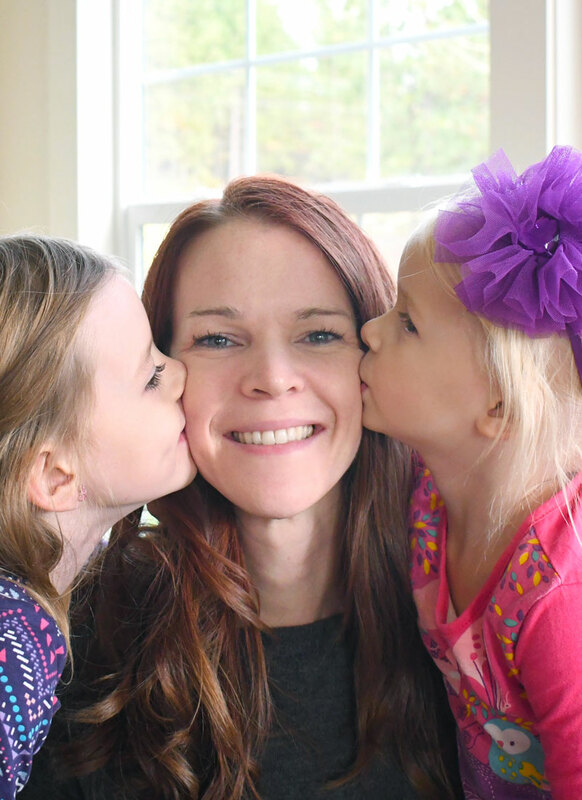 This mom entrepreneur created Waterpura to be safe and chemical free; baby wipes which truly cater to any baby, no matter how sensitive their skin is. Even if your baby doesn’t have sensitive skin, it’s always great to use natural baby wipes you know are made with just water! Everyone should have a wet bag for on-the-go messes. I got my wet bag after about the thousandth time I went out with my son and realized I didn’t have a place in my diaper bag or car to put soiled or wet clothes or dirty diapers. I find uses for my wet bag almost every day! When I’m out with my son, it usually takes him just under 5 minutes to spill apple juice on himself, soil his diaper, or find some other way to stain his clothes. He is currently teething pretty badly, so the other day I ended up having to change his shirt just due to drool! My wet bag and I have been through a lot; lots of dirty diapers, wet clothes, and swim suits. It’s even a good storage solution for my silicone bib after a messy dinner out. Wet bags are a great option for a trip to the park, if you want to leave your diaper bag in the trunk of your car or at home. My wet bag fits inside of my hiking backpack and holds most everything I need for a few hours away from home! I can fit all of my diaper changing essentials inside the front zippered compartment of my wet bag and still have room for a change of clothes and diapers in the main pocket. My wet bag was super affordable and stylish. You can find some gorgeously functional wet bags from Buttons Diapers, one of my favorite brands! Water resistant material that holds in odors. Front pocket to hold diapering essentials or dry clothes. Hanging loop or carry wristlet to hook on a stroller or door knob. Zipper closure for staying securely closed. Meal time can be fun and it can be messy. When you have a baby or toddler who is increasingly fighting for independence, you have to let them win sometimes. I’ve found some useful feeding products to minimize mess and boost my kiddos’ excitement as he learns how to feed himself. 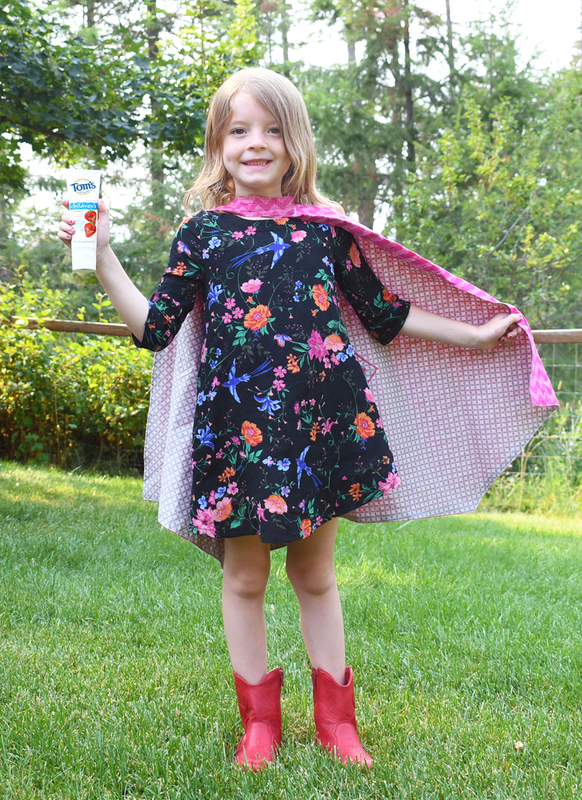 Reduce sippy cup spills with a Re-Play kids’ drinking cup, also made from recycled milk jugs! These colorful kids’ cups have a spill-resistant drinking spout, allowing babies and toddlers to learn how to drink from a big-kids’ cup without creating all the messes that can follow. I love the sturdy straw-free design and colorful colors. These Re-Play sippy cups are also super easy to clean in the dishwasher. 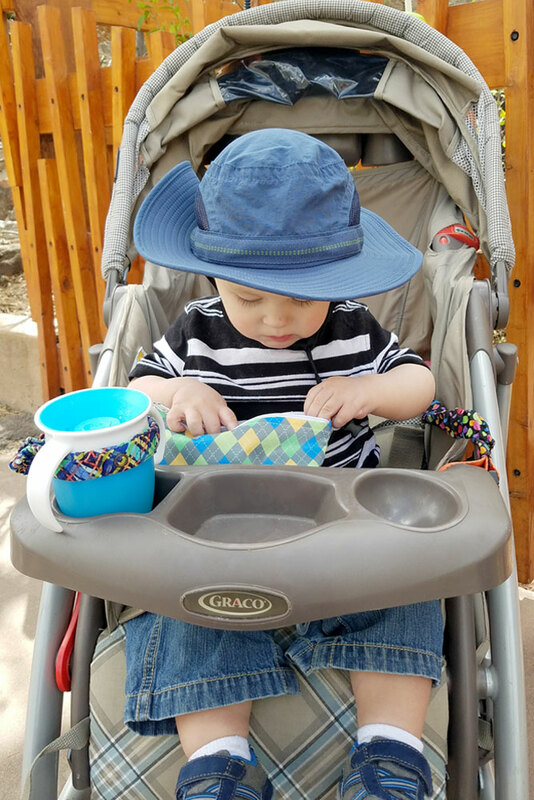 Pair my son’s toddler cup with a cute Yummi Pouch cloth snack bag from Revelae Kids and lunch and snack time has become so easy! These Eco-friendly cloth bags are so helpful for me as a momma because they’re so versatile! Yummi Pouch cloth snack bags come in a pack of 3 zipper bags so I can fit a sandwich in one, a few pacifiers in another, and some dry snacks in the last one. On vacation when I need to bring my breast pump, these moisture-resistant cloth bags come quite in handy to hold breast pump parts as well! I can see so many uses for these modern cloth storage bags – cosmetics, jewelry, small toys, and any other small accessory you can think of. 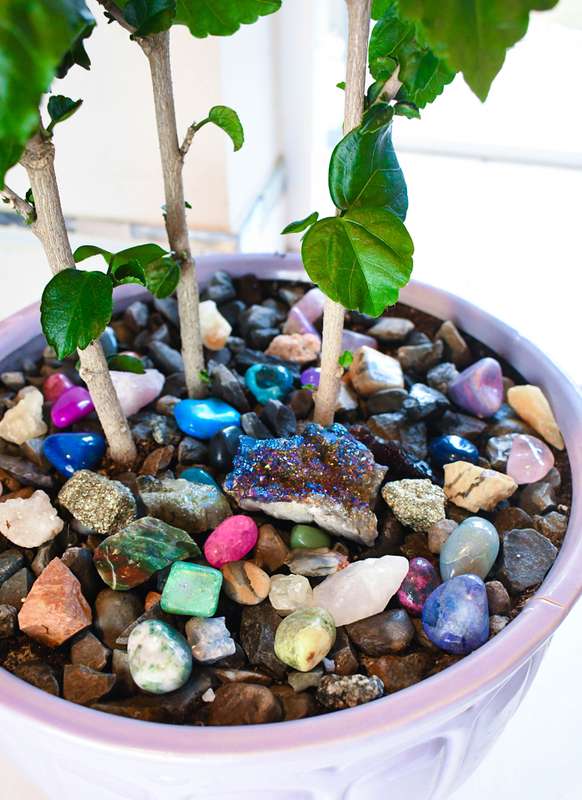 Feature unique, modern, attractive designs with vibrant colors. 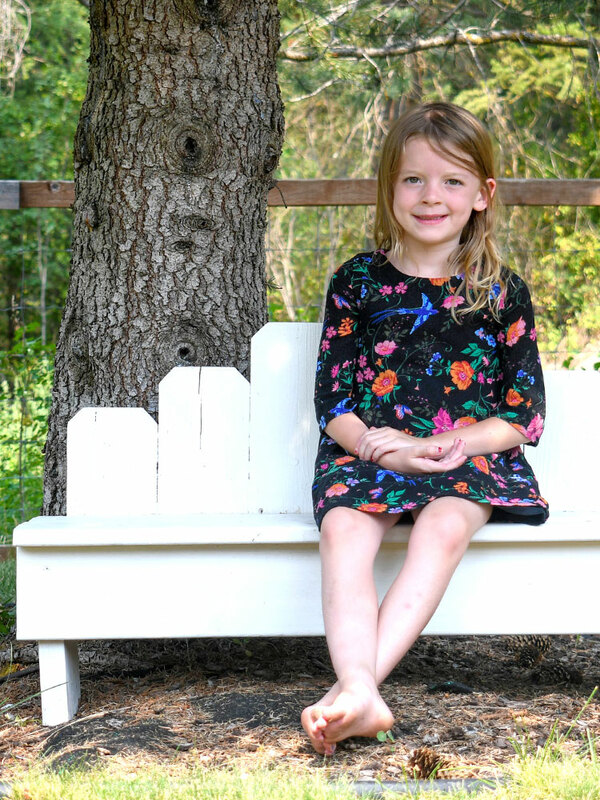 Boy, girl, and gender-neutral patterns. Holds anything small, from baby snacks to a sandwich. 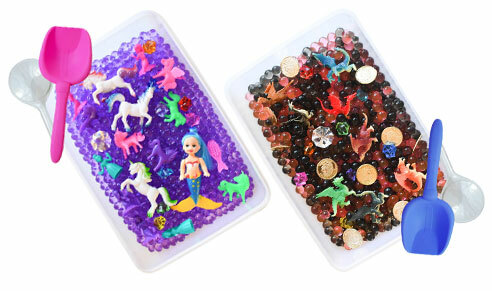 Perfect for transporting small toys, pacifiers, cosmetics, earrings, etc. 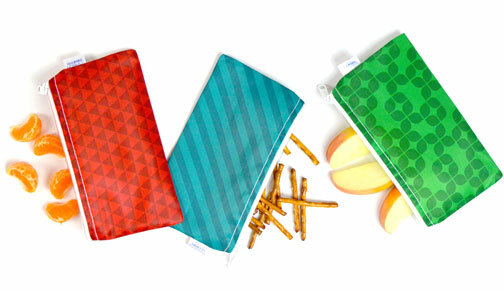 Phthalate-free, PVC-free, BPA-free and made of lead-free nylon. Revelae Kids designs Eco-friendly and cost-effective solutions for meal time, play time, and bath time for kids. Revelae Kids’ innovative product designs for kids have gained national and international attention for inspiring healthy snack time and educational sensory play time. Summer can be lots of fun if you protect your family’s skin from the sun’s bright rays. I live in Colorado and the other day it snowed and today it’s 80 degrees. Weather is unpredictable, so I make sure to keep some natural sunscreen in my diaper bag for any spontaneous summer moments. 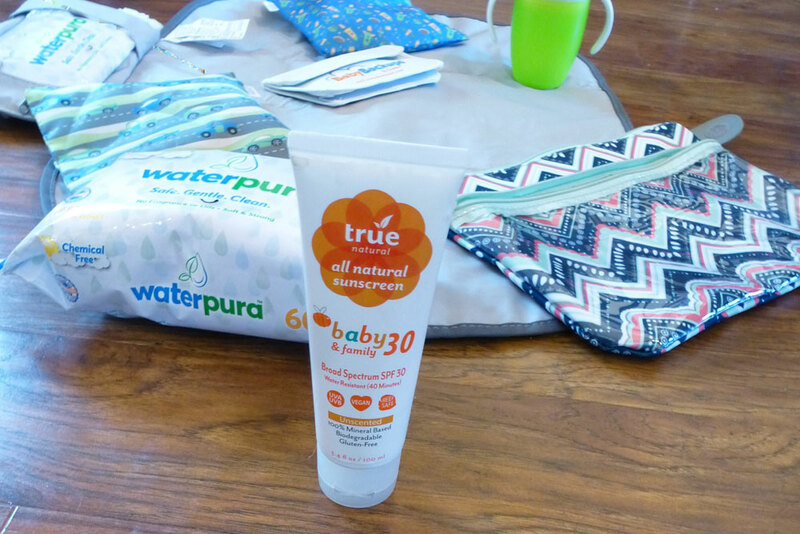 True Natural All Natural Sunscreen Baby & Family 30 is my favorite sunscreen for protecting my little guy’s sensitive skin from the suns’ UV rays. 100% gluten free, mineral-based blend. Cruelty-free, paraben-free, dye-free and no synthetic fragrances. Light, creamy texture feels more like a foundation than a sunscreen – not at all greasy! Good for 40 minutes of sun. Each True Care cosmetic and skin care product aims to eliminate toxins and provide safe, effective, Eco-friendly and natural personal care solutions for families. 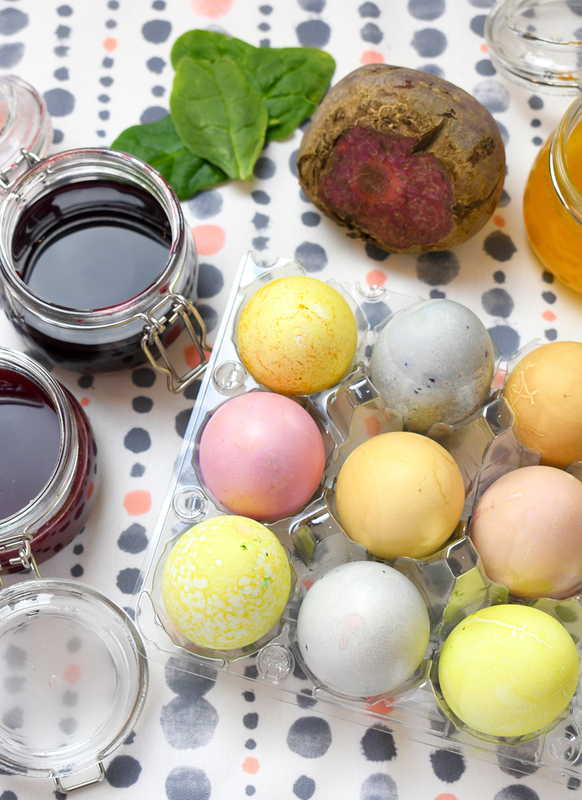 Whether you’re going camping, on a long road trip, or an afternoon adventure to the zoo, these on-the-go essentials will equip your family for fun family adventures and help you tackle some of the surprise challenges. Plan ahead but be spontaneous this summer and create some fun family memories!